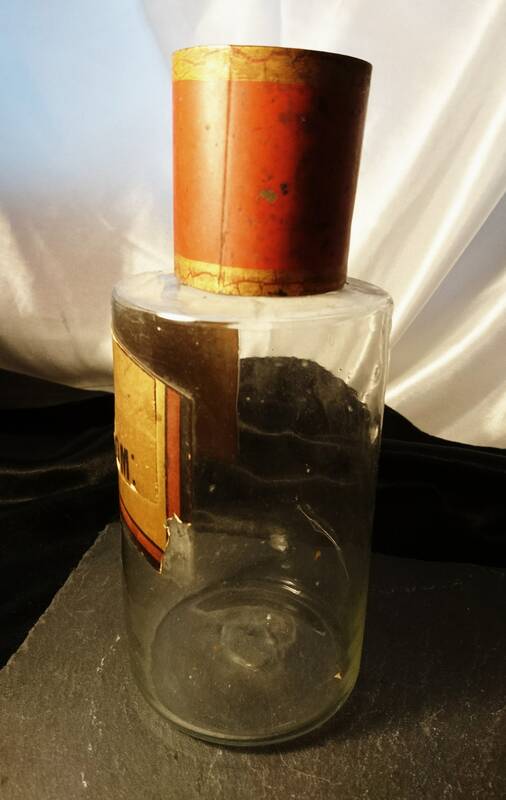 A lovely antique early Victorian apothecary bottle, glass bottle with the original enamelled metal cap. 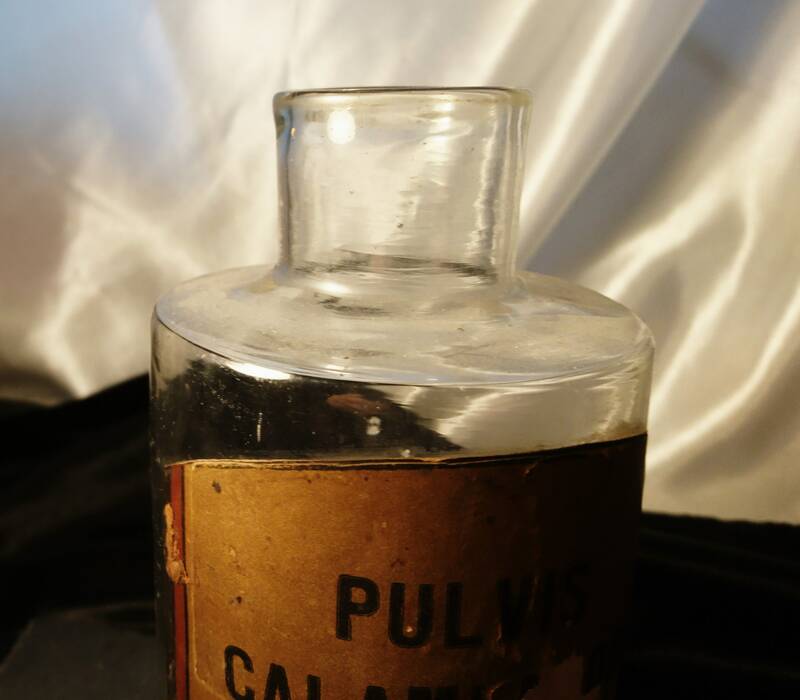 It has no contents but has the original gilded paper label, it is a larger bottle used by chemists, the cap doesn't push or screw on but rather sits on top. 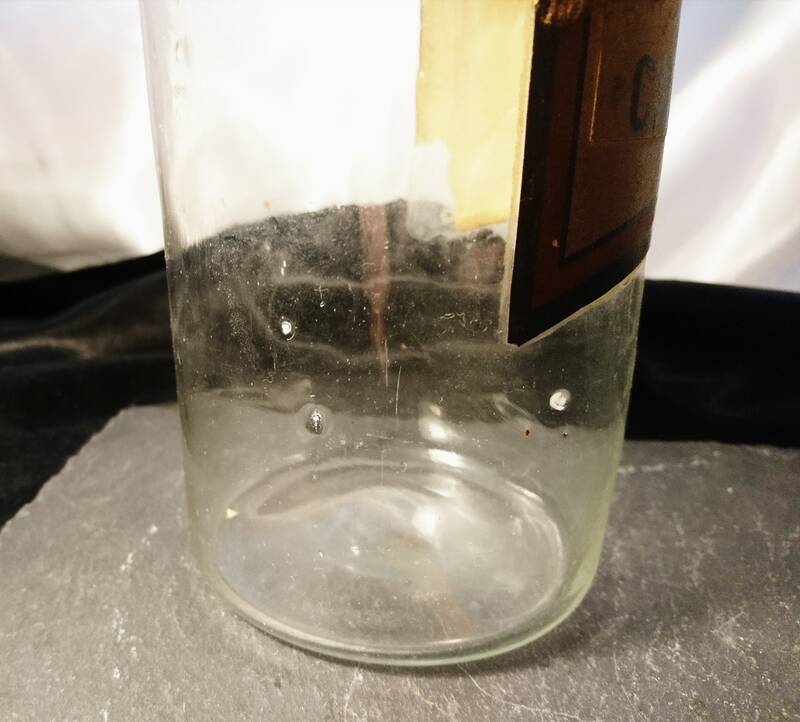 The bottle has a wider neck and there are plenty of naturally occurring bubbles and marks from the glass blowing. 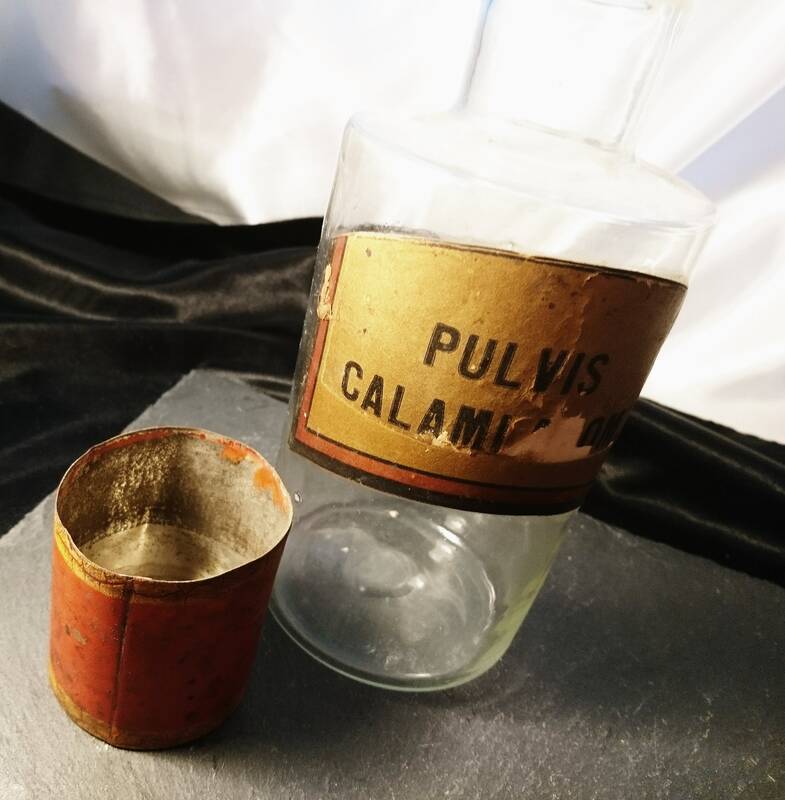 Very good antique condition with no chips or cracks, no contents but original advertising label, some tearing on the label. 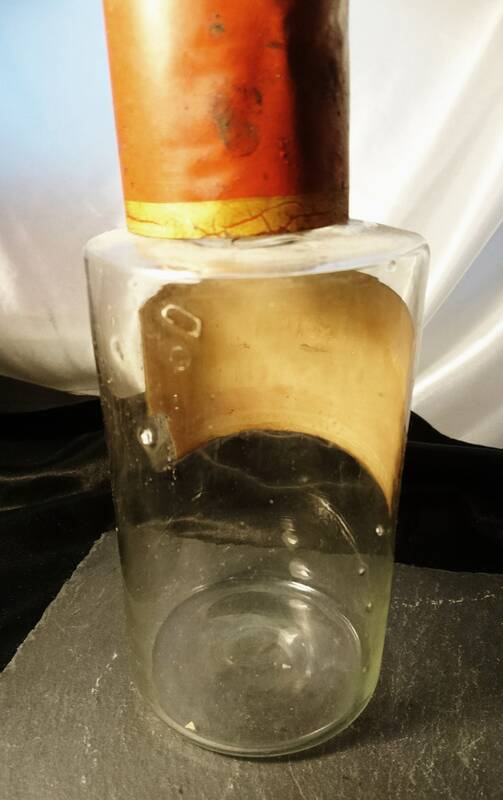 Approx 9.5" height and 10.5" circumference. 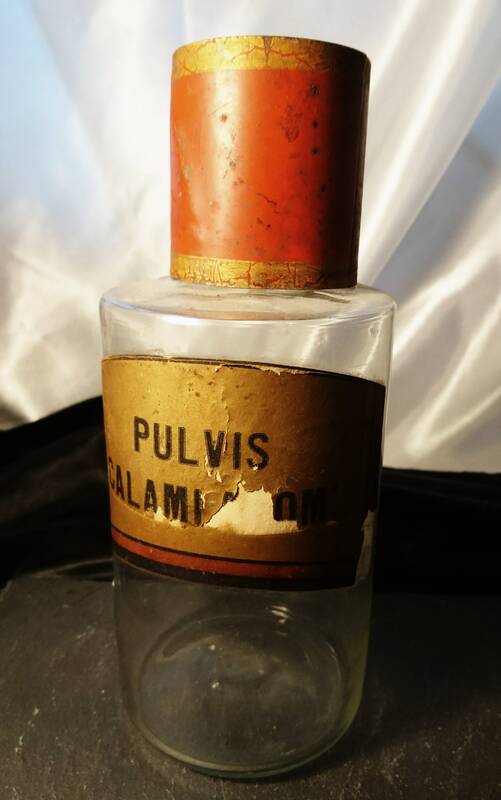 Great collectable piece of antique medical advertising.